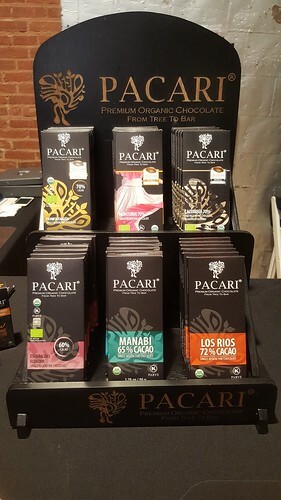 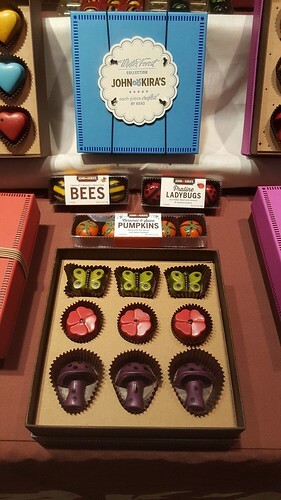 My husband and I had the pleasure of attending The Big Chocolate Show last weekend at The Terminal Stores in West Chelsea for the invite-only media and industry preview last Friday as well as the public Sunday session two days later. 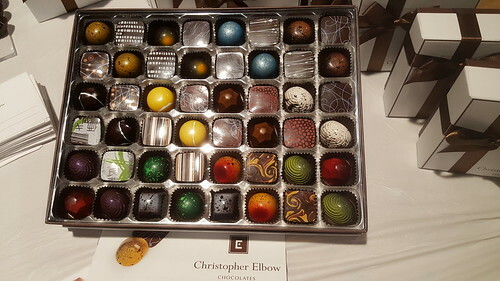 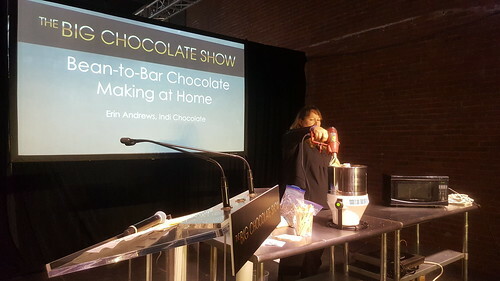 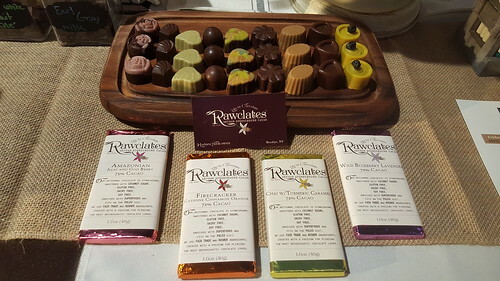 Billed as “New York’s Largest Chocolate Show” and it did NOT disappoint. 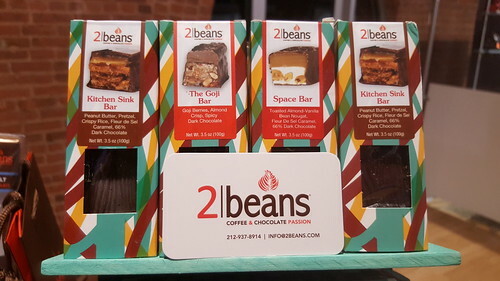 You had everything from single origin chocolate bars (meaning that the cacao used is from just one country) such as the premium dark chocolate offerings of Pacari from Ecuador, to a variety of raw vegan bars made right in Brooklyn from Rawclates, to delicate ganache creations from such crafters as Kansas City’s Christopher Elbow & Philly’s own John and Kiras. 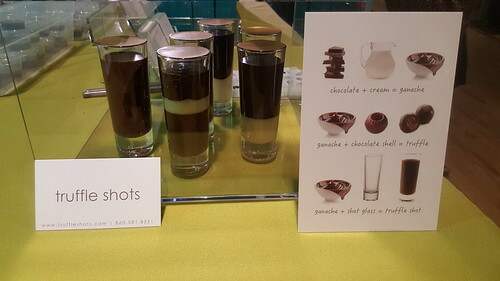 A bit different, though oh-so scrumptious in our mouths, were masterpieces like those created by Truffle Shots located just off I-95 in Essex, Connecticut with their shot glass full of cooled silky ganache goodness. 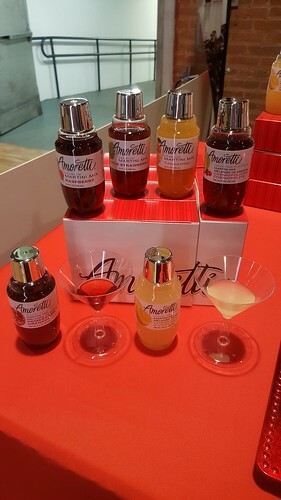 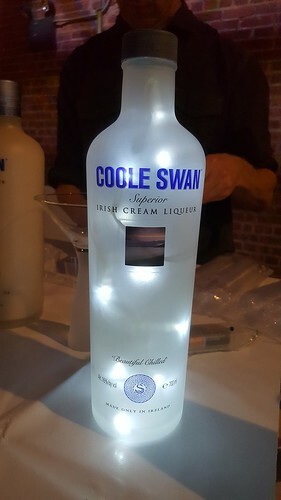 Thankfully, to wash all this sweetness down, were some lemon-drop and pomegranate mini-martinis made with the premium mixes of Amoretti and some ultra-smooth sipping goodness from Irish company Coole Swan who blend real white Belgian chocolate right into their Premium Irish Cream Liqueur. 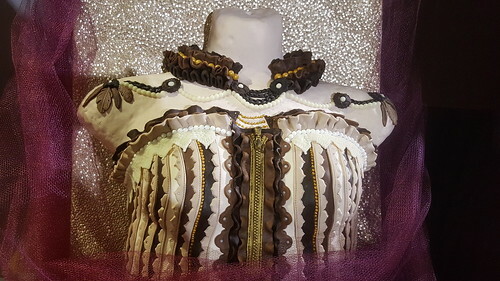 Lastly, I would be remiss if I didn’t also mention some true artists who dazzled us all with their mastery of using chocolate as their medium. 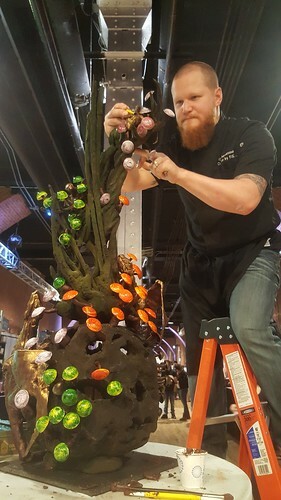 Hakan Martensson, a Swedish master chocolatier from Fika, spent the better part of the entire three-day chocolate festival creating a sculpture made entirely of chocolate and some colorful edible powders. 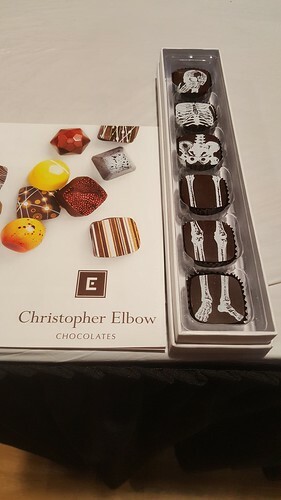 Now it’s back to the gym for me, and probably also my husband, to work off these well-worth-it calories!